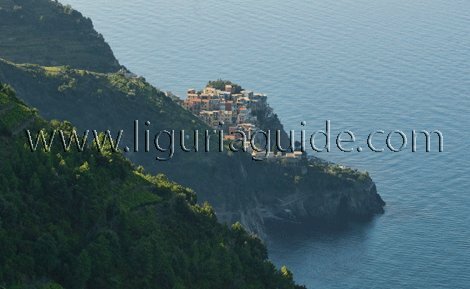 What is the attraction of the Cinque Terre Italy ? 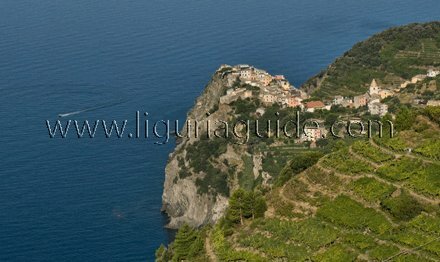 What is the attraction of the Cinque Terre Seaside ? Interactive Map of the Area. What is the weather like in the Cinque Terre ? 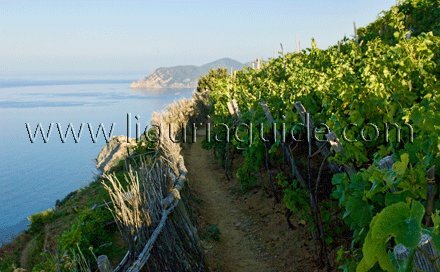 Enjoy our Cinque Terre Photo Gallery. 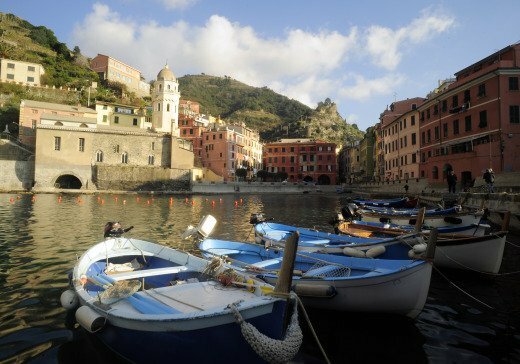 What is the attraction of Cinque Terre? The National Park of Cinque Terre Italy is a rather unique place to visit and not your typical tourist resort but makes for an unforgettable experience. 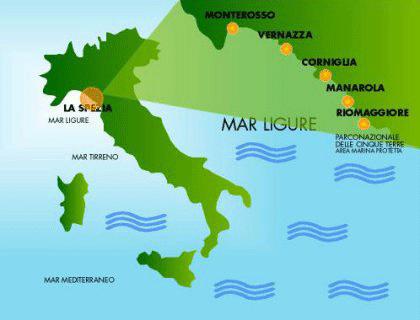 The area is located on the eastern coast of Liguria, which is named the Riviera di Levante, and stretches from Mesco Point (Punta Mesco) to Montenero Point (Punta Manara). The area offers its visitors a unique and vibrant landscape - a wonderful example of combining preserved natural beauty and men’s skills in making inhospitable, rugged and steep terrain into a tidy coastal, agricultural landscape made up of terraces that stretch all the way up to the cliffs that overlook the crystal clear waters of the Mediterranean Sea. These carefully built terraces have been used over the centuries to cultivate mainly grapes and olives and are held up by approximately 6,729 kilometres of dry stonewalls. They make for truly breathtaking scenery! To preserve this huge natural and cultural heritage, the Cinque Terre Italy was enlisted among the UNESCO World Heritage Sites , and protected both as a Natural Park and a Sea Reserve in 1997. 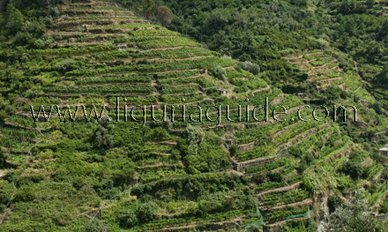 The area continues to maintain grape production and other Cinque Terre local produce, especially that of the famous Sciacchetrà, a fragrant passito wine which is made from dried grapes and is considered to be the most ancient and rare wines of Liguria. The Cinque Terre Italy is named after the five little towns of Riomaggiore , Manarola , Corniglia , Vernazza , and Monterosso al Mare (Cinque Terre means Five Lands), perched high on the Italian Riviera, full of vibrant colours and architecturally interesting locations. The little towns are linked together by varied hiking paths and old steps, among broom bushes, plants of butterbush, rare agaves flowers, and fragrant lemons. A large part of the attraction of the Cinque Terre is because of the unforgettable hiking experience and breathtaking views these trails offer - paths that wind along the coast or reach sanctuaries which overlook each village. The most famous path is perhaps the Via dell'Amore (Lovers' Walk) , which is the first easy leg in the No2 Path and was dug in the rock between 1926 and 1928. To fully understand the reason why this trail was named after love, we suggest you sit with your loved one on one of the many stone benches along the way, possibly at sunset and take in the scenery ... heavenly romantic! In addition to breathtaking scenery and hiking trails, Cinque Terre offers crystal clear waters with a wealth of marine vegetation and animal life which have been a Protected Marine Area since 1997. The rock formations is the area are home to a range of colourful coral and the Posidonia Oceanica (Neptune Grass) is found all along the coast.